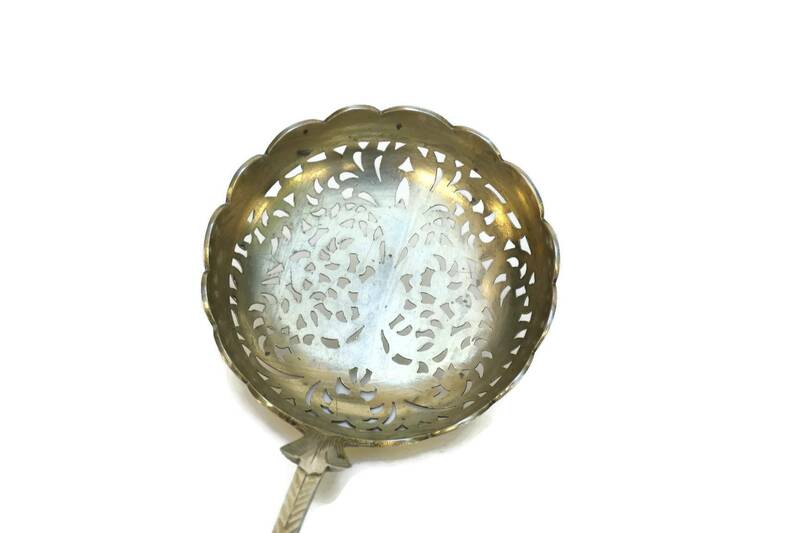 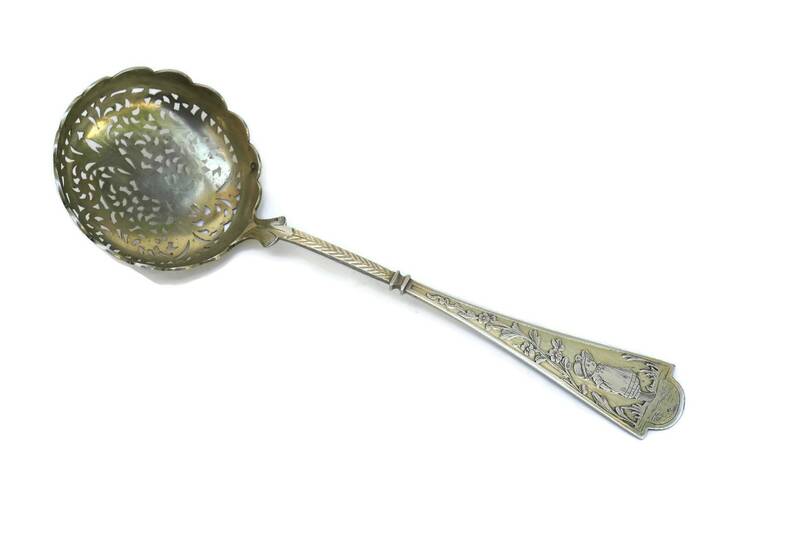 An enchanting antique French silver sugar sifter spoon dating from the late 1800s. 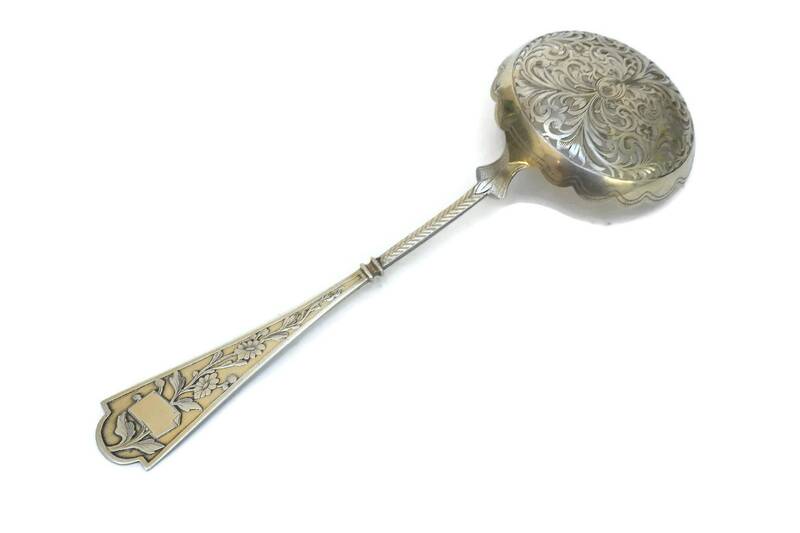 It has been created from solid silver and decorated with contrasting gilt vermeil accents. 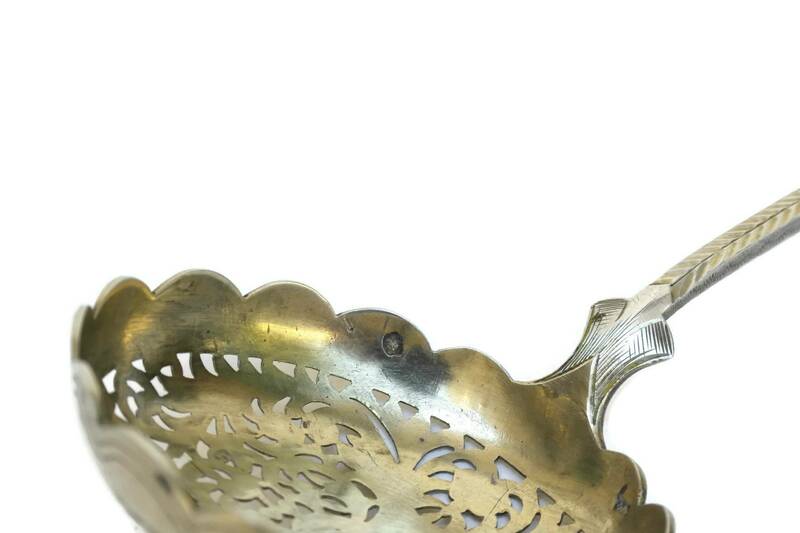 The sugar sifter has a large bowl with an ornate cut out flower and tendril pattern. 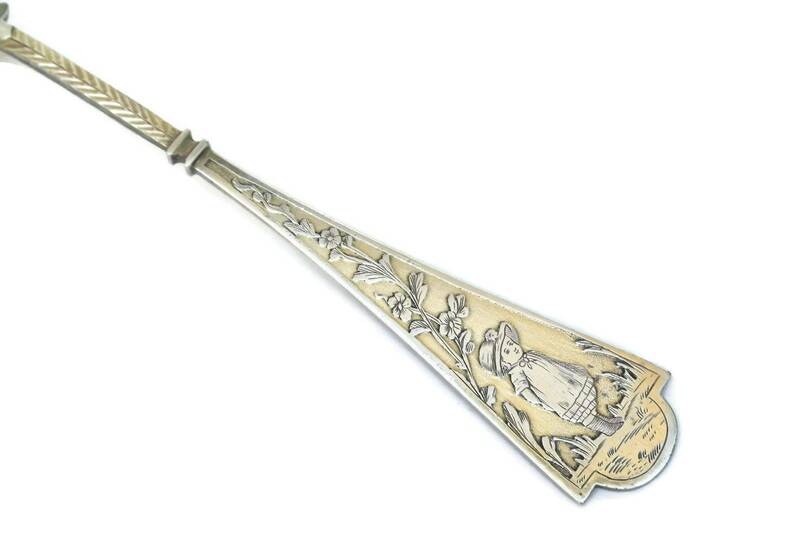 The front of the handle has been engraved with a delightful figure of a little girl standing in a French garden. 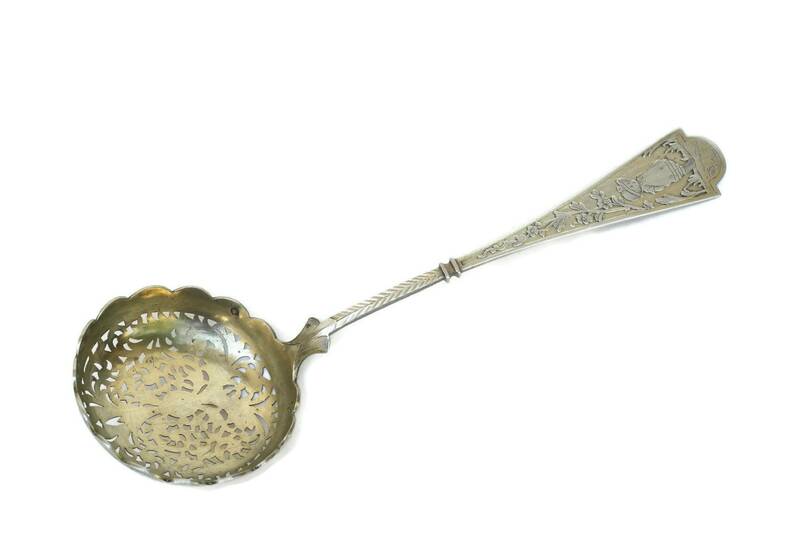 The spoon has been stamped in the bowl with the French Minerva silver hallmark and the maker's mark. 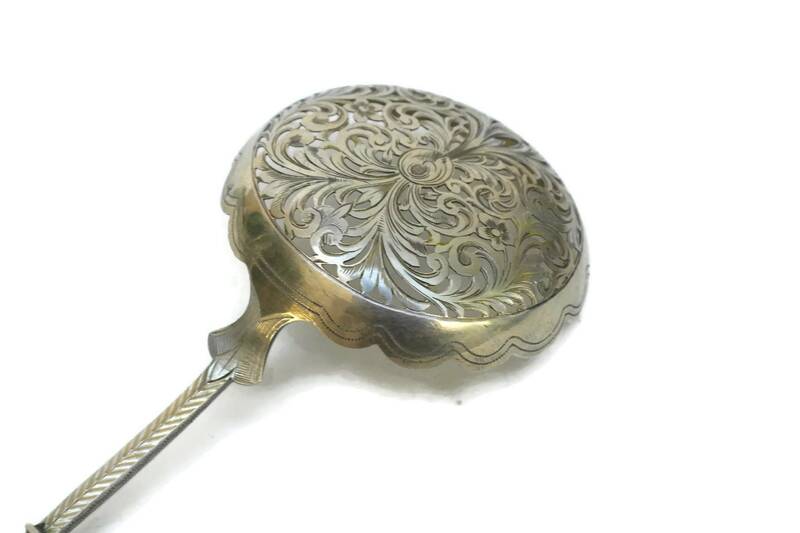 7 1/2" Long x 2 1/2" in Diameter. 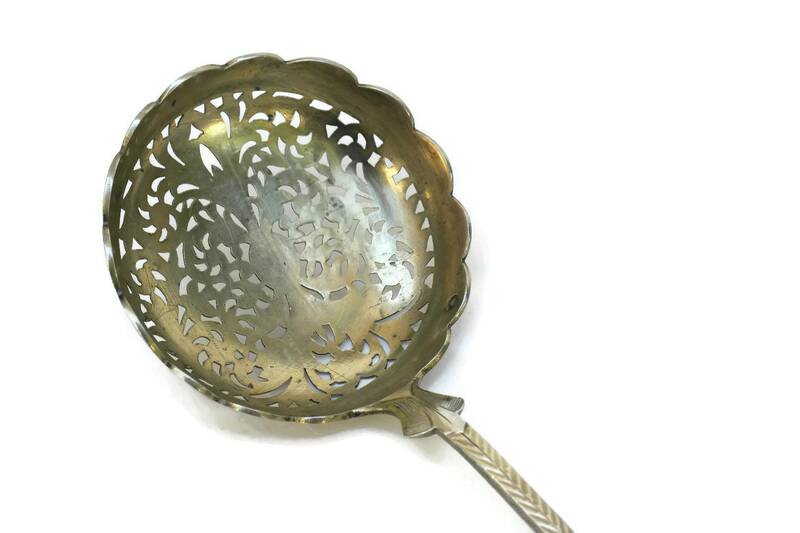 (19 cm x 6,5 cm). 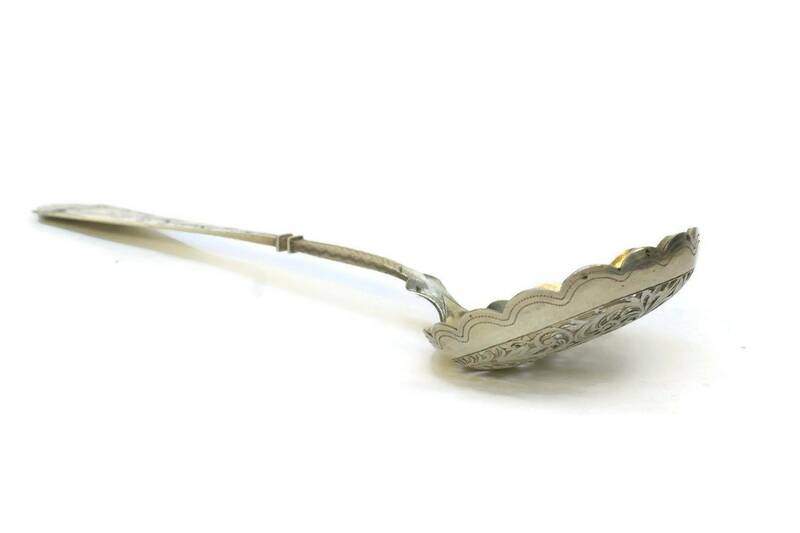 The antique sugar sifter spoon is in very good condition with light signs of wear. 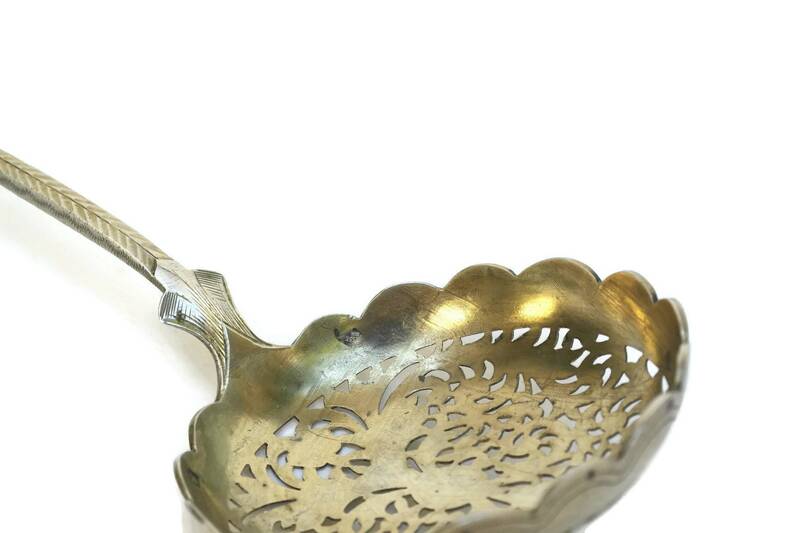 There is some rubbing away to the gilt vermeil in places.